YSL = Swagger Jacker? Team Louboutin! The fashion world has been in a tizzy since uber-FAB shoe designer Christian Louboutin & luxe label Yves Saint Laurent headed to court to duke it out over Louboutin’s signature red-bottom designs. So let me back up. Here’s how the beef started…Back in April YSL’s Spring 2011 Collection included a red suede pump (I refuse to show the pic) which also features a red sole! *GASP! * Just blasphemous I tell you! So Mr. Louboutin himself filed court papers in NYC claiming that YSL infringed on the trademarked red bottoms. YSL was forced to halt production of the shoe until the case was closed. But now some judge, who probably thinks Men’s Warehouse is a high-end retailer, decided in a stunning turn of events ruled in favor of YSL! So what’s next? Will Payless come out with a version of red bottoms?! I say, “Not on our watch!” Let’s unite & do what’s right. 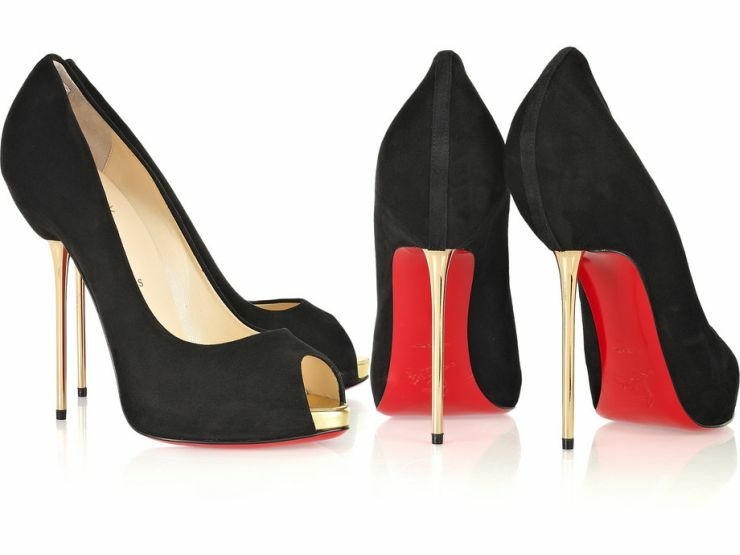 There’s only ONE red-bottomed shoe & it’s signed none other than Christian Louboutin.